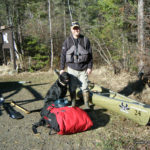 Complete Kevlar Canoe Package is designed to give you all the quality equipment, food, and expertise in packing you need for an excellent trip in the Boundary Waters. You don’t have to invest in camping gear or haul dirty gear, sometimes with a strong smell, home to be cleaned. Experience peace of mind, even if this is your first trip. You will have to bring some personal items and other necessities (click here for a “What to bring list”) but the rest is up to us. Youth under 16 accompanied by two adults, deduct 20% from 2 – 4 person rate. Youth duffer (3 and under) no extra canoe required – $35 per day. 10% discount from 2-4 person rate for trips started before June 23rd or after September 2nd. $15 credit per person if you prefer NOT to stay overnight in our bunkhouse. Complete Aluminum or Royalex Canoe Package is designed to give you all the quality equipment, food, and expertise in packing you need for an excellent trip in the Boundary Waters. You don’t have to invest in camping gear or haul dirty gear, sometimes with a strong smell, home to be cleaned. Experience peace of mind, and know how even if this is your first trip. You will have to bring some personal items and other necessities (click here for a “What to bring list”) but the rest is up to us. Rates based on calendar days. Does not include BWCA permit. Bunkhouse: The bunkhouse has 4 separate rooms that open to a shared deck. This is a perfect place to start a trip into the boundary waters. Each room has a heater, electricity, wifi, 4 bunkbeds and a bathroom with a shower and towels. Outdoor carpeting in each room makes it a great place to pack and repack your gear. You can park directly behind the building. Bedding is available at an extra cost, these rooms are designed for you to use your sleeping bag on the bunks. This is the basic outfitted package for those who want to supply their own food and snacks. You supply the food that you prefer and pack it in our packs after you arrive. You don’t have to invest in camping gear or haul dirty gear, sometimes with a strong smell, home to be cleaned. All of our equipment from our gear packs to our dome tents have been selected to provide comfort while meeting the demands of canoe camping. The canoe and equipment package includes all of the camping gear listed for our Complete Kevlar Package, bunkhouse the night before, parking during your trip, showers after your trip and transportation to/from your selected entry point within 17 miles from our lodge. Permit fees are not included. Canoe rentals include paddles, portage pads, parking and life vests. Solo canoes can choose kayak paddles and a yoke. Sorry, no half-day rentals, any portion of a day is a full day rental. If you rent a cabin, you get an aluminum canoe to use, and can rent another canoe (aluminum, kevlar, royalex, or kayak) at half price. You can rent our equipment per day, per trip, or as part of a package. The bunkhouse has 4 separate rooms that open to a shared deck. 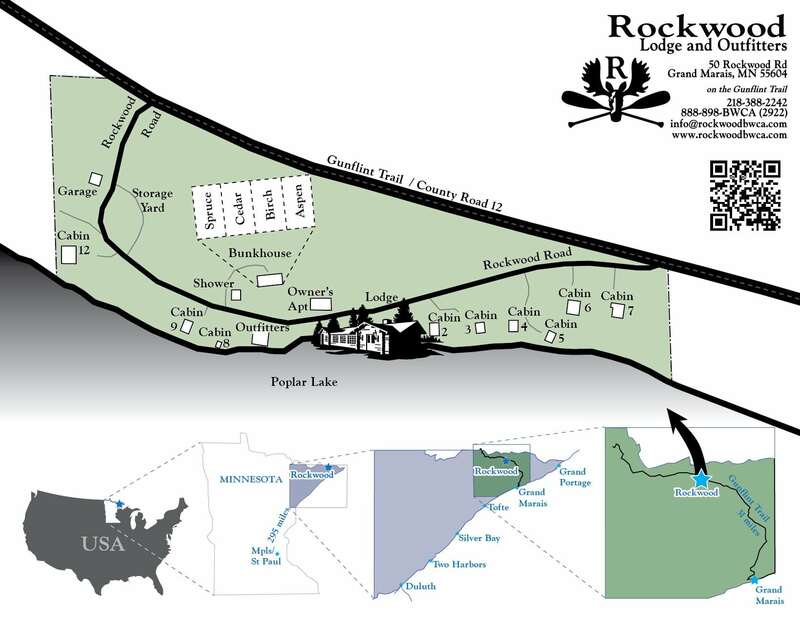 This is a perfect place to start a trip into the boundary waters. 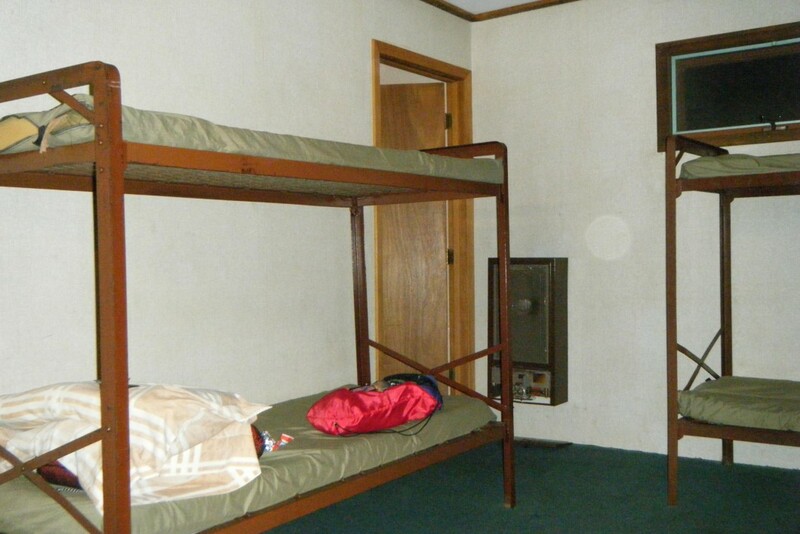 Each room has a heater, 4 bunkbeds, each has a private bathroom with toilet, shower and towels. Outdoor carpeting in each room makes it a great place to pack and repack your gear. You can park directly behind the building. Bedding is available at an extra cost, these rooms are designed for you to use your sleeping bag on the bunks. Canoeing solo through the BWCA can be a great way to take your spirit to the next level. Taking a solo trip connects you closer to the wilderness, giving you more opportunity to recognize all that the BWCA has to offer. Smaller campsites means that you can go to the next lake with confidence that any campsite you find will be more than adequate for one person, one tent. Less noise from your campsite can mean additional wildlife viewing opportunities and expanded fishing options. Just relying on yourself can help build your confidence, giving you the drive you need to seek the next challenge. Planning a solo trip is much easier than planning a group trip; there is only one calendar you have to satisfy, one set of needs, one timeline. We offer several solo canoes and a solo outfitting package to help you with the challenge. We can provide just the canoe, the canoe and equipment, or the complete package of canoe, equipment and all the food you’ll need, completely organized and packed for your trip. Add peace of mind with our inReach satellite texting device ($15 a day plus 50 cents per text each way, you should reserve this well in advance), giving you an emergency SOS feature and your family a website to follow your progress. You can even send texts, two-way, so you can keep up to date on family events. Or you can just stash it in your canoe pack and use it only if necessary. It pairs through bluetooth to your smartphone as an awesome GPS, and allowing you to use your smartphone’s keyboard for texting or emails. Solo Kevlar canoe only is $38/day, includes yoke, portage pads, both kayak and std paddle, and parking. 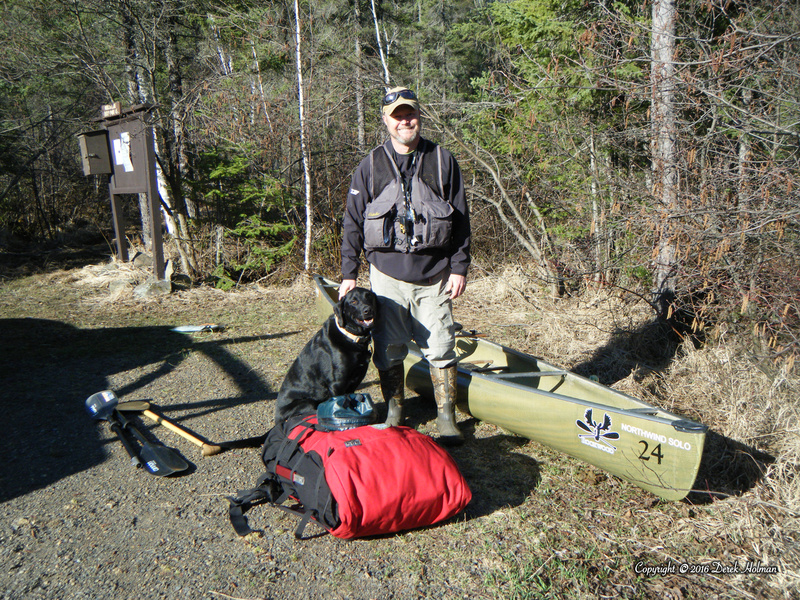 Our ultralight Kevlar canoes range in size from 15′-6″ to 16′-9″ and weight from 28 lbs to 40 lbs. Day trips are a great way to see the wilderness and stay in a comfortable Cabin or Bunkhouse. Daily permits into BWCAW are available at no charge at both the Lodge and Outfitting. You can take the canoe that comes with your cabin, rent one of our lightweight Kevlar canoes, or bring your own. The Entry Point, EP 47 Lizz Lake, is a short paddle across Poplar Lake. When you cross the midpoint of Lizz you'll be in the Boundary Waters! A few short portages awaits you, and you'll be in the heart of one of the nicest parts of the eastern wilderness. Caribou, Meeds, Horseshoe and Vista are all within a day's paddle and back.